After successful interview – Length of visa validity, leaving the USA after arriving…. When you are approved for a Green Card through the DV lottery there are some important timelines that you MUST understand and adhere to – so this post will hopefully clear up some of those points about Visa validity. 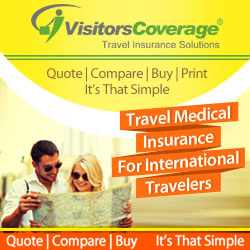 The visa will be valid for the first entry to the USA for up to 6 months after visa issuance. (Note: this time can be shorter if your medical report had a shorter validity, so please check the date “IV Expires on”). It is essential that the visa holder enters the USA to activate their status before this visa has expired – if you miss that date, your visa will not be replaced and you would have lost your right to a Green Card. For that reason I suggest making travel plans for at least a week or two before the expiry date of the visa, just in case you experience delays with travel plans. When you receive your visa it will arrive stamped in your passport and with a sealed envelope of documents to be carried with you on entry to the USA. DO NOT OPEN THIS ENVELOPE! If the envelope gets damaged in some way, contact your embassy before travel to get the envelope resealed. The envelope must be presented along with your visa to an immigration official at your Port of Entry (POE). The POE is typically the first place you land on US soil, although in some cases this can also be a US immigration checkpoint on foreign soil (Abu Dhabi for instance). At the POE you will be briefly processed by the immigration officer – it is not a difficult process and at the end they will endorse your visa. Upon endorsement the visa will serve as evidence of your I-551 and indicate your status as a LPR (Lawful Permanent Resident) and is then valid to be used for up to 12 months (until you receive your Green Card). This means that you could, if you wanted get on the next plane back to your home country and then re-enter using the I-551 stamped in your passport for re-entry – there is no need to wait for the physical Green Card to be able to leave. Your Green Card itself will be sent to the US address you listed on your DS260. The immigration officer at the POE will allow you to change that address at the time of entry. That address should be a real US address – not a PO Box etc. The post office is not supposed to deliver the Green Card to an invalid address. The Green Card will only be sent once you have paid the fee of $165 per person which can be done before you enter for the first time or after you have entered. Don’t forget to do this!!! Some people treat the first trip to the USA as an activation trip and to “look around”. They then leave and return to live permanently which is fine as long as you make this return within 12 months. That is perfectly fine and understandable – you are not obligated to take up residence in this first trip – although you will have become an LPR and therefore have other obligations (such as tax reporting – even on income earned outside of the USA!). Once you begin “residing” in the USA you are expected to maintain residence there. If you leave the USA for long periods of time (up to 12 months) you may be asked to show that you maintained you home there, otherwise you may have been considered to have “abandoned” your Green Card. In that scenario you would have to convince an immigration judge that you did not intend to abandon your Green Card – so I advise you to follow the rules. If you need to leave the USA for a trip longer than 12 months, you must apply for a “re-entry permit” with form I-131. The re-entry permit must be applied for before you leave the USA, although you can arrange to receive it at a US embassy abroad. IF the re-entry permit is granted you will get permission to leave for up to 2 years. However, the approval is not automatic – you need a good reason to be approved. This link provides a bit more information about obtaining a re-entry permit. Thanks a mil for the very valuable article and your patience with all of these questions! I have been looking around for articles on this subject, but didn’t find something as comprehensive as this! 1) Do you know how long does it take on average for the GC to get issued from time of entry to the US? 2) I’m planning to enter the US in August and would like to take the GC with me before I leave, but I’m only staying for 4 to 5 weeks, do you think I’ll receive it during my stay? 1. It varies greatly – some are 3 weeks, other are 3 or 4 months. 2. I don’t know – but it doesn’t matter. 1) The address I use to receive GC at, will the state of the address be mentioned as my state of residence on GC and thus I will fall under the law/taxes of this state or the resident state only shows on my SSN? 2) Why do I need to issue SSN right after GC, can I wait till I come again for permanent residency to issue it or will there be negative implications when I’m re-entering the US? 3) If I’ll be staying (the initial 4 weeks) in the same state as the address stated for my GC and want to drive, do I need to issue a driver’s license or can I use my international license till I receive my GC? 1. Well -if and when you become resident there. 2. Having the SSN is more useful than the GC. Get is asap. 3. Normally you can temporarily use the foreign license. 2-You stated that one needs to show that one maintained home in US if stayed for more than 12 months , how do I show this ? Rent contract ? Does that work even if I’m not living in it ? 3-Is the 12months quite rigid ? So few days or half a month would also be a problem ? Anything less is definitely ok ? 4-I’d like my kids to finish couple of years of schooling here before we move permanently to US , is this considered an acceptable reason for I-131 ? 1. You will get instructions when you get your visa packet. 2. Actually living there is the ideal. Other than that – you can decide how to meet the obligation. 3. 12 months is rigid. You can lose your green card for less than 12 months absence. Again you need to live there! It’s not a visitors visa. 1- The officer did not ask for the x-ray and I forgot to ask him , is this a problem ? I thought this is taken from you. 2- is there anyting I need to do to ensure the processing of my green card and SSN ? I have already paid for visa fee. 1. They don’t take the xrays. I Activated my green card on december 20th 2017 and left the USA to my home country on january 20th 2018. I came back for one week in april 2018 and went back to my home country. I plan to settle in mid august 2018. Is everything fine regarding the absence? as it as been more than 6 months. 1, I got a Phd Scholarship and have to study 3 years. If I have a visa then can I come again one week after entering US ? 2 I can go there on Vacation time and have to return again. Is it Possible? 3, I will go there for one week and while I return Can I apply for Green Card or If I apply the Card Should I be there? 4 Even though I plan to go there Every vacation Until I graduate should I have Re- entry permission? Sorry If I ask unnecessary questions. Thanks anyway for your kind attention. 2. The article above answers that! 3. Again – read above. 4. That would be safer. As my fellow friend GAT says “those who are the least enthusiastic for lotteries win them the most”. That is also what happened to me. I entered the DV-2018 lottery on octobrr 16, 2016. The result came on May 2, 2017. I completely forgot about the lottery and I was living my normal life; on that day I checked on office and open facebook using computer and I see a post that state dv lottery result is out and browsed to the entrant status check website. I read that I has been randomly selected for further processing . But I wasnt thoght that I am selected. I had mixed feelings about it. I had several questions which were not clear, does being randomly selected signify winning, will I go to the USA immediately? is it a better option than the Job I currently do? Later on, I found out that I was very lucky to be part of the 1% people who are one step closer to the American Dream. I started browsing dvlottery.state.gov, travel.state.gov, ceac.state.gov and many more sites, I googled every possible ambiguity about the lottery and tried to look past histories, I also read the guide for new immigrants. I didn’t know I had to pass through a long process before actually going to America. I told to my brother and he also start reading።in the evning I goes to internet cafe guy to ask about the papaer and told me that I win the lotttey and start guidance on the procress.but on the first letter the name stated in the paper is only the first letter of my first name and the last name.I am shocked but the internet cafe guy told me that I can correct that on Ds-260 form and filled the form.at that time I wad on master study so I make my self belive that I have to concentrate my self on my study so Ido that for just 1 month and the school is closed at the end of june.after that I start to contact people who win lottery from previous year and told me about this website. I start reading and it start to answer the doubt about the process.In ask question here I read one question that attracts me Which is about the sponser .the sponser should be the permanent resident. When I fill ds I didn’t want my family to heard about the process till I am sure about the process so talking with my brother I filled my brother friend as sponser who goes to USA through scholarship. After I read the answer from brit I asked him that if he is a permanent resident and told me that he is there in working permit.then I asked birt that whether I should have yo unlock and change a sponser or not and he told me ti change the sonser so I Did that through using the information provided on FAQ. After that I finshed prparation and stamping of document and start to wait until my number get current.my number get current for may interview on april 12 and 2NL is sent on april 18. After a week I goes to saint yared and conduct medical exam.additionally,I goes to Crime Investigation Bureau, Forensic Examination Directorate Behind Immigration in Tikor Ambessa and applay for police certificate.the detail information is naratted on GAT expiriance story which also guide me when I am perparing for interview and any body can access that at http://britsimonsays.com/interview-experience-stories/comment-page-9/#comments. Therfore lets proceed to the main interview expirance. My interview was on Tursday 7:00.s A.M, and I couldn’t sleep the night before. I was continuously checking my clock every hour, 2 A.M, 3 A.M, 4 A.M. Then, at 4:30 A.M I wake up from my bed and started preparing myself. I had plenty of time to use the bath room, dress, adapt the cold air and to do the final checking of the documents. My mother waked up after 30 minutes. Both of us were ready at 6:00 A.M. We traveled to the embassy as she drove the car. We live in the outskirts of Addis, so it was quite a long way. We arrived at the embassy at 6:35 A.M. We thought we were the earliest, no, around 20 people had come earlier than us, so we joined the queue and waited until the embassy opens at 7:00 A.M.
On the evening I organize the documents and make sure the documents are in order and also prepare for interview. On the morning l goes to the embassy at 5 pm with my father and sister.when I arrived there were 10 people and and join the quee. At 7:00 A.M, the guard started calling cluster of people to come to the gate and start arranging their documents before getting inside the embassy. There were two tables in front of the embassy gate (grey boxes on the picture). They kept file cabinets and instructions on how to arrange documents, on the tables. So, people (the orange boxes) were standing on the left and right side of the table and arranging and keeping their documents in a file cabinet. Thus, I put all my documents, like photos by writting my name on the back page , copy of my passport, educational documents, birth certificate, …etc. in a single file cabinet. Then I joined the second queue in front of the exit door. There were two ladies (the blue triangles) who check and take the arranged documents including passport. She asked for my name,for my phone number and emergency contact person. She wrote the information on top of the 1NL that was kept on top of all documents. Then she asked me for the exact interview time, I said 7:00 A.M. but she cant find my name and i told her that there is a name mistake on my first entry and told her to check using T instead of tigest and she find it it but she make a sound like hmmm. And Then she gave me an agreement paper and she wrote a number on it, later I found out that they use the number to order the cases easily. So, she took all my documents including my original passport then gave me a Brown plastic card and commanded me to go to the next queue which is inform of the Entry Door (the yellow boxes). This was the first security checkpoint, the security guards (the red triangles) gave a box for each person holding the brown plastic card. In the box we kept watches, mobile phones and other metallic equipment’s. After passing a series of security check. Finally, I reached to the main room where the payment and the interview would be done. This time I confirmed the truthfulness of the documents by signing on the agreement paper. The sequence of steps is: signing the agreement paper, made a payment based on the number given at the entrance of the gate.during that time the lady also can not find my name and told that there is a name mistake on my first entry and she told me that she can not correct my name and she made a recipet by the incorrect name and also told me that I should have to talk the main counseler about the mater.and I lost my confidence at that time. It confirms that you are educated and also creat to make a better connection with the counciler.but the lady is shoked because I was the only person who select english as intervew langauge.afer that. I sit for while till I called my name .In that time you can heard other people interview question .Then my name is clled for main interview after 15 minute. The counsiler himself called my name and told to the translator to back up. Co:congradulation tigest I approved your paper and game me yellow paper and my original document and told me to።pick my paper after a week at dhl office. On that day after interview the status changed to administrative procesing and today june 8 it is changed to issued. Thanks God for hearing my pray and Thanks brit soooo much for the help and it would have been hard without you. Thank for the detailed story – congratulations! I’m a Canadian resident, and my wife has been selected for the DV2018. now since her case number is below the cap set for August, we’re expecting to be contacted for interview schedule sometime next month. As a Canadian resident, My wife and I don’t want to leave Canada before we get the Canadian citizenship, which is very soon for me but would require my wife to stay in Canada for at least 16 months after we get get the green card(assuming that we pass the interview). during these 16 months, we are likely to visit the united stated often since we live in Toronto, so driving to NY or Chicago is something we do on long weekends often(every three or four months). if that’s the case, do we still need to apply for re-entry permit during our first landing? It’s up to you whether to do that or not – the re-entry permit would reduce the risk that some IO decides you are not taking steps to be “resident” in the USA. 1-i send request to the ASC to reschedule the appointment or change the location to my home country so what do you think about this. 2-my IV VISA as you know stamped once i entered USA and should be working as a TEMP green card for 1 year isn’t or do i have to fill any kind of forms as some suggested to fill I-131A form . 4-does it make since that they receive the green card and i am not? and why you think they need me for the interview? 4. Your biometrics needed repeating. It’s not a problem. My visa issued date is 20th June and expires on 30th November. I am planing to leave by 10th November, so i don,t know if this will cause problem for me! Is the 10th before the 30th? Then you don’t need to ask me…. Hi Brit- can I do the following: activate my visa (become LPR in October “18 and stay in US 10 days) come back on a work trip (from UK) in November”18 (for 5 days), come back on a work trip from UK in March”19 (for 5 days), go to US in September for a month, return to UK for 6 months and then return permanently to US from March 2020? Probably. At some point you might be challenged at the POE. Would it be best for me to speak to an immigration consultant, if you know of any – could you recommend? I’m London based. To check what I need to do retain LPR and avoid being refused at POE because I’m unwinding my job/ life in the UK. Well you can’t 100% avoid that – so speaking to someone would be a waste of time. To be clear – being challenged does not mean “being refused”. I’ve got my DV visa in July 2018 which will expire in December, I am not ready to activate my LPR status yet and I was wondering if I can go to US for short trips without implications. I am a Canadian citizen. I live close to the border. We often make day trips to the neighboring state but now i am wondering the next time I want to go there will I have to land? can I tell the CO that I am planning to land later? Would that be okay? No – your next entry will be when you activate. You websie is much help!! I returned yesterday to my country after being in the United States for 2 days to activate my visa and become LPR. The United States address that I gave(to send me the GC) is of my uncle. The problem is that my uncle in early October will change house. 1)Will my GC and SSN being mailed until that time? If not then they may be received by the new house owner. 2) In case that my uncle won’t receive them until early October, will I lose my LPR status(because I lost them)? Can they issue me new GC and SSN and mail them to my country? 3) I will return to the United States in July, is 11 months a long time? Will I have a problem in the airport or because I am within the 12 months frame, I will have just to be prepared with questions in airport? 4) was is better when I visited the United States 3 days ago, to have gone to the Social Security Office to give me my SSN(and not wait for it to be mailed)? I didn’t thought about it when I visited the United States. I will wait for your helpful answers. 2. No, you will still be an LPR, but you will have to pay hundreds of dollars for each replacement card. 3. You might get questioned – read the FAQ. 4. You were there too short a time to register in the SSA system. 1) losing my GC and SSN, will I have penalties? or get more questioned when I will return back to United States next year? 2) in your answer to question 4 above, do you mean that if I could visit the local Social Insurance Office then they could give me the SSN rather than waiting for it to be mailed? 3) to file tax, at end of year, do I only need the SSN? or also other documents from the United States, like Tax ID, etc? 1. Other than what I said in point 2 above, no. 2. That might be needed – but in most cases the SSN is sent automatically. For answer 2, you mean that if I visited the local Social Insurance Office, then they could give the SSN to me in hand(than mailing it)? Hi Brit, I activated my LPR on 04 July 2018. I stayed in the USA for 11 days and then returned to the UK. My Green Card was posted to a relative’s US address and arrived yesterday. 1)	My work need me to go on a 3-week trip to the US in December ’18 before I finish working here. Would you expect me to have any problems at POE on either this entry, or my January ’19 entry as a result? 2)	Should I bring some proof of my official move, e.g. a one-way flight for January 2018? Thanks for your continued help – you’ve kept me sane through this process and your help has been invaluable. 1. No. You enter as a perm resident. No problem. Obviously no ESTA needed. You show your endorsed visa in your passport (or have the GC sent to you). 2. No need. Just explain the plans to the IO if asked. Just be honest. 3. Answered in Q1. Your one time visa has an endorsement on it serving as proof that you are an LPR. Stop worrying – you are not doing anything wrong. Can I activate DV visa using Guam as first Port of Entry? Do i need to take all the documents that i took with me to the interview or the sealed envelope that we received will be enough? To pass through immigration you just need the pack that the embassy gave you. Other documents may be needed for starting your life in the USA. Myself and my wife have green cards and our 5 months old son has US passport, we traveled out of USA on 5th May 2018 and we’ll be back on 24th Oct 2018 which means I’ve been away for 5.7 months (173 days) I had to be out for this long for several reasons (work, family and medical reasons). and this time i’m really planning to live permanently and i quit my job in home country. 1- Will I be facing troubles with immigration officers at the port of entry? 2- What is your advice to avoid or reduce the troubles? 3- What would be the worst scenario ? 3. They run out of peanuts on the flight. Is 2hours between flights enough to go through the immigration center? Probably not – I recommend 3 or 4 hours. I have my visa and my yellow packet that we are not allowed to open, but I am soooooo curious what is inside! Can anyone tell me who has already been through? I imagine it’s just copies of the documents we submitted with our application at the Consulate. Hahahhaha! Such a tease! This is like a grown up version of the Marshmellow test. Well yes – but NO ONE SHOULD OPEN THE ENVELOPE! I was granted my DV 2018 Visa in March 2018, and went to LA for a week in July 2018 to activate my visa and take a bit of a holiday and to get a feel for the city. During this time I didnt get a bank account setup as I was waiting for my SSN to be issued. After a week I returned to Australia. Currently I am trying to save as much money as possible before returning to the US in May 2019. Though within the 12 month period from July 2018 to July 2019. I am given to understand that absences greater than 6 months but less than 12 puts one in position having to prove ties to the US. What is the best way to communicate this to the POE CBP officer upon entry? The May 2019 trip will be the first trip after activation since July 2018. From that point on I will not be travelling outside the US for more than a month or so a couple of times a year. – Am I in danger of losing my Green Card for May 2019, which would be 10 or so months since activation? – I have not received my social security card, and will follow up with them – is there a minimum time to remain in the US to have had this card processed? I nominated this to be done during the submission of the DS260. I will be interviewed in Sydney next year. There are already several Sydney stories. Read those. There is always “some” danger of being questions/denied entry (even under 6 months) – but it is a small risk. If questioned, show what you can to explain you needed the extra time to make the final move. It almost certainly won’t be a problem. Visit the SSA when you return. 1. i want to ask what is i-94 form and do i really need that? 2. i really got confused what to do here and is their any other steps regarding my green card to do for example someone says that you should fill i-485 form, adust status and so on please guid me what to do? You have to be clear if you want sensible answers. You were a DV winner. I assume you went through a consular interview, were approved and have now moved to the USA – is that correct? I am going to assume so in the rest of my answer. If so, you are an LPR already. You do NOT need to adjust status (I-485) – you are already an LPR. When going to a job interview, you (at some point) need to prove you are eligible to work in the USA. For that, you show the Green card, or assuming you don’t have that yet you show the stamped immigrant visa in your passport. You don’t need to show your I-94 record. You will also be asked for your SSN – if you don’t get that by the third week in the USA you need to go to the SSA office. now is their anyway to have my i-94 form and from where should i get if possible? i applied for my SSN and i received that. The I-94 is a record of your entry/exits. Frankly, when you last entered has NOTHING to do with a prospective employer, but you can get the record from the link below. Your blog has been very helpful. Thanks! Great. Thanks! One more thing, on my first trip, do I need to go the address (same state or city for example) I want my GC being sent to? Or can I go somewhere else as in vacations without a problem? Let’s say I take the first trip to USA as an activation trip only and stay a couple of weeks without taking residency but only activating LPR, to then come back to Europe for 6 months before returning to USA permanently: when do I have to communicate my USA address where the Green-card will be sent to? At the first activation trip, or when I come back permanently? I know the green card is being sent usually 2 months after the address is communicated, but if in the meantime I came back to Europe for 6 months how would I be able to receive it in USA? Not having any reliable person to receive it for me right now. So I wonder if there is a way I can ask the green-card to be sent at a specific address only at the second time when I re-enter the states to live permanently and not the first time when I enter only for few weeks. You must have an address where the GC can be sent. It is the address you give in your DS260 and your last chance to change it is at the POE during your activation trip. I’m thinking to enter the US the first time without paying this fee. Only the second time when I move permanently I will then pay the fee so I can make sure I’m present in US at the time the Greencard is sent. However I wonder if doing so I will still receive the I-551 stamp on the passport at my first registration which guarantee my resident status and enables me to travel in and out us for additional 12 months from my first arrival. Basically I wonder if not paying the USCIS Immigrant Fee will still allow me to receive the I-551 stamp on the passport upon first admission to US. Thanks if you can help me with this query. Hi Brit – I’m adding to my old tread, rather then creating a new post. – I can read in the official US Embassy instructions “Do not travel outside of the United States until you receive your Permanent Resident Card”. Why do they say this like it’s a requirement, if instead I am allowed to travel using the I-551 passport stamp wiht 1 year validity? Is it more a recommendation they do? – Do you see any issue in activating my LPR status end June with a short activation trip and then re-entering to live in the US 6 or 7 months later BUT without the physical green-card with me and only the I-551 passport stamp? Since 6 – 7 months time absence is not very short, I wonder if having a physical green-card rather than the stamp can help me to be less questioned upon re-entry, in this case I can consider having the Greecard sent to a person I know in US who’ll then mail it to me overseas, however don’t love too much the idea. – Finally, they game me a CD (yes a CD-rom) at my interview which contains the results of my X-Ray scan. I was told to hand it over when I’ll enter the US the first time. But I never heard about this before..
Do you have any info by any chance? The embassy I was interviewed was London. Thank you Brit, all the best! 1. I don’t know why they phrase it that way, but I am certain you can use the endorsed visa. 2. No issue. Don’t overthink this. 3. Carry it, but mostly you will not be required to hand it to the IO. In one of the group someone received the below e-mail, does it mean there is a second draw ? Please check http://www.dvlottery.state.gov for an important announcement regarding your Diversity Visa Program entry. Remember, only internet sites that end with the “.gov” domain suffix are official U.S. government websites. Many other websites (e.g., with the suffixes “.com,” “.org,” or “.net”) provide immigration and visa-related information and services. The Department of State does not endorse, recommend, or sponsor any information or material on these other websites. The Department of State, KCC, or any other U.S. government entity will never ask you to send money via email or request that you reply with personal information. The only fee associated with the DV program will be paid at the time of your interview. Does he try ti check? No – that is a copy of an email sent a year ago regarding the cancellation/restart of the entry period. Hi. I’ve a curve ball of a question. I’m here in the US, I entered here from Ireland on the passport stamp the I-551. I had the green card mail to a family member as I hadn’t moved over to the US fully at that stage, but they said they never received it in the mail. I completely an I-90 or replacement of the green card but it came back last week as a refusal as they waived the $540 replacement fee initially as I said I never received it as that’s what my family told me. That turned out to be false and they just lost it. I completeld a new application paying the fee but the I-551 stamp in my passport has now expired as of last week. My question is, is it possible for me to travel nationally or international without my green card not arriving yet. Am I stuck in the US until it arrives? It’s just it takes so long to get a replacement, up to 8 months. Thanks, John. Contact USCIS and they can give you a temporary stamp in your passport. I came in the USA last Tuesday to make active my GC. The US officer in airport made only a stamp near my US visa in the passport and the stamp only writes ‘Admitted’ and the date I came in the USA. It does not have the sentence: “UPON ENDORSEMENT SERVES AS TEMPORARY I-551 EVIDENCING PERMANENT RESIDENCE FOR 1 YEAR”. Is the stamp okay? Did the USA officer in airport made a mistake? Also because the stamp does not say for how many months it is valid, the airlines may not let me enter again USA with this stamp. Do you think I have problem Mr.Simon? I misread that – there is no endorsement. It’s not really a problem but you can always visit USCIS if you need the endorsement. Thank you Mr. Simon for replying. I do not know if I did not read well my message to help you understand what I mean. I mean the US airport officer did not made a stamp with the phrase(in upper case) that I wrote above. Now I left USA and I will return later, so I cannot visit the USCIS. What I worry is if the airlines who look at the expiry date of the US visa of your passport to let you board/enter the airplane, may not let me enter the airport because there is nowhere writing that my visa is active or valid for 1 year – it only says ‘Admitted’ and the date of admission. Your answer is very welcomed Mr. Simon. OK, so depending on when you plan to travel you can either wait for the physical GC, or contact the embassy to get some proof of residence. I have a question I entered US 01.09.18 for the first time to active my LPR and then I went to my home country I need to finish up things here before I move to US which is in March 2019. My green card was sent to my friends addres it was delivered in the building admistration and somehow it was lost. Now I need to pay a fee and apply for a replacement card which takes from 4 to 1 year to be deliverd again. My question is can I re-enter US with the stamp I-551 again because my green card won’t be ready by time I go back? And if yes do you think the airlines company will let me fly or do I need additional prove? Hi Brit- I am going 1 month later to the US after entering (for the first time) with my DV visa. I just wanted to check… I don’t have a physical green card (I am actually going back to do USCIS biometrics). 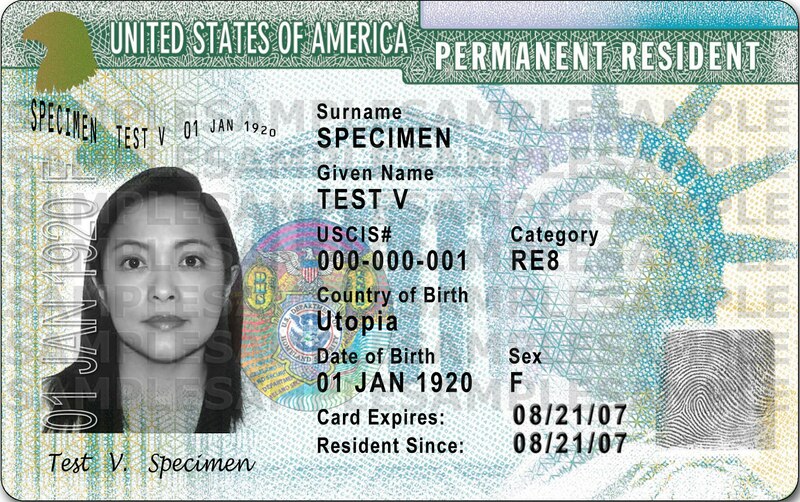 I wanted to check … Am I resident despite not yet having a physical green card? When I enter (again) on my visa (that is valid for a year) will it remains valid for the year? Thanks so much. Yes your visa shows you are a resident. 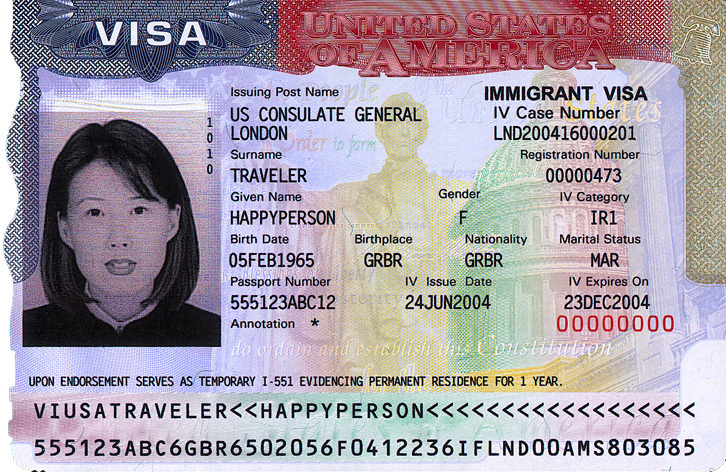 Hi brit, upon receiving the physical greencard, does the 1 year visa after initial activation still valid? Do i have to return to the US before the visa expired? Hi Brit, thanks so much for posting this. I live in the US and my mom recently had the DV lottery interview and got approved. She needs to visit before March. I was wondering, if she leaves the US and comes back AFTER the green card has been mailed to me, but still within a year, is that a problem? I’m not sure if I should mail it to her or just wait to give it to her the second time she’s here? 1. After the interview, is the SSN application automatically submitted on my behalf or do I need to do something else? 2. Will the SSN card be sent by mail? 3. What’s the AVG wait time? 4. Can I start working immediately upon arrival or do I need to have a SSN card or Green Card or both handy? Alternatively, is there a way to get SSN available, while I am waiting for the card to be mailed, to start working? 5. Are there ANY disadvantages of entering USA via foreign port of entry? 6. Do you know if USPS will deliver the envelope (Green Card, SSN) to the property that does not have my name printed on the mailbox (i.e. if I rent a place through AirBnB for 5-6 months I likely won’t be able to put my name on the mailbox)? I don’t have any close friends or family in the US so trying to figure out the best way to do this. The reason I ask is I read somewhere that USPS is extra careful with any government mail and may not deliver unless they see the name on the mailbox. 7. Follow up to question 6, from your experience writing this blog, how do people navigate this issue in general? I see AirBnB as my only option as it’s the only service I trust when booking a place remotely, even for longer periods of time. Just about all of that is answered in the FAQ. Please read it. Thank you – you are right, sorry! Very clear. My original birth certificate in Russian includes my patronymic name, which is not exactly the same as middle name. I never had a Russian passport as I moved to Canada and became a citizen many years ago. None of my Canadian documents, including the passport I will be using during the interview to get a visa, include this patronymic name. On my 260 form, I did not include it to align with my Canadian documents. Should I update it to include ( to align with my birth certificate) or should I keep it omitted (to align with the Canadian documents). I know I will need to explain in either scenario however wondering which one will cause less of a concern? You should use the “other names used” section. It seems I should NOT add patronymic name but I would love to get your perspective. Many thanks as always!!! my family of 5 have activated our Greencards in Sep 2017 on a holiday trip to Florida and received our official Greencards and Social Security Numbers shortly after. After long discussions we recently decided to stay in the UK where we are currently living and not move to the US. As you will surely know we were required to file a US tax return for 2017 and we will do so again for 2018. What do we need to do to not be obliged to file any further tax returns thereafter? Do we have to file any other forms to declare that we are staying where we are? I-407. You may need to contact the local US embassy. My relative had received my passport and documents after the visa was issued. He gave me only passport and a brown sealed envelope. But I recently heard about Data Summary. So, do I need to ask the embassy to provide me the “Data Summary” and carry it along with me. Is it just fine taking only the brown sealed envelope with me ? Whatever they gave you is all you need. 1. You can not re-enter without your actual green card. 2. You can only pay for your green card and start the process of it being sent out (up to 120 days) after you have entered the country. 1. If I’m renting or own a house in the US, after that 12 months, does my green card count as “abandoned”? 2. How exactly do you define “leave” and “return”? For example, if I keep leaving for six months and returning for one week, will it still count as not less than 12 months? 3. Can’t I leave the US for more than 2 years, if I have a good reason? You know, most studies take 5 or more semesters to complete. I answer DV lottery questions. You seem to want answers about not using your GC properly. I can’t help you with that. There are articles in the FAQ about adding a spouse and adding a newborn. Please read the FAQ. Good day Brit. Is it reasonable to dismiss from job in my actual home country only after the first activation trip in the US ? The status is forever, the card needs to be renewed every 10 years. Hi Brit, in case we have the VISA and the enveloppe. Is it safe to sell our house prepare our move to the US then just fly to the US, actívate our status as a LPR then start our American lives In other words, can we have any bad surprises at Port Of Entry? Or is it much better to have a short holiday actívate our LPR status and return to our home country to prepare everything afterwards? The POE is not another interview process. I recently won the lottery and went to the US in January 2019 for my “activation trip”. I was intending to move in December 2019 / January 2020 however due to a change in circumstances I am deciding to stay in Australia a little longer. I have tried to research this as much as possible before asking you however I think my case is unique. If I decided to visit the US in December or January (Less than 12 months absence) will I be eligible to apply for a re-entry permit? I have read that if you have been residing in the US for under 5 years and spent less than 4 in the country then you are only eligible for 12 month permit? I’m concerned that I have only spent a week in the US and left that I wont be eligible at all? I really don’t want to forfeit my GC. There is nothing unique about what you have said. However, you cannot apply for the I-131 in 1 week – you have to wait for the biometrics which take about 6 weeks. Thanks Simon. I was planning on spending 4 weeks and getting it expedited. Otherwise ill fly back for the appointment if i’m unlucky! Your last chance to change the address where the GC will be sent is at the port of entry (POE).